1. 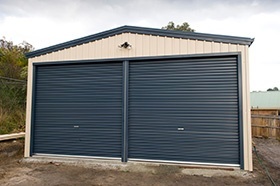 Do you arrange full installation including council approvals? Rainbow can offer a full project management service, including excavation, concrete slab and installation. As a fully qualified, insured and accredited builder (CC1007Y), Rainbow can take the stress and worry out of dealing with contractors and ensure your project is completed to the highest standards – eliminating the need to apply as an “owner-builder” and dealing with several contractors at once. Phone us now on 1300 737 910 to make your dreams a reality. 2. Can you come out and give me a quote? In a nutshell yes. However, before we commit to a call out visit, simply by answering a few questions over the phone or via email will help us establish exactly what you are after. After answering these questions, and if you are still happy to proceed, we can then schedule a site meeting. Why not call us now on 1300 737 910? 3. What happens if the council reject my application. Do I get my deposit back? Worst case scenario, if the council rejects the application altogether, and there is no option to have a reduced size building, or even relocating the building to another spot on the block, you are entitled to a refund of your deposit less costs for engineering plans, any unrecoverable council application costs, site plan and any other unrecoverable costs, we need to pass these costs on to you, the client. This is written into the contract (see top of 2nd page of your quote/contract) so you know and trust that your deposit is safe! Keep in mind, that after the past 15 years of providing kit sheds, garages, barns and carports to Tasmanians, the percentage of council “rejections” is almost zero. 4. Can I modify your designs? You can most certainly modify any one of our designs. At Rainbow, nothing is standard and we want to ensure you receive the building you want. Our designs provide you with a basis to work from and we can then tailor each aspect to suit your lifestyle. Or if you have your own design we can certainly work from that too. Rainbow are there to make your dreams a reality. Call now 1300 737 910 to discuss the next steps.